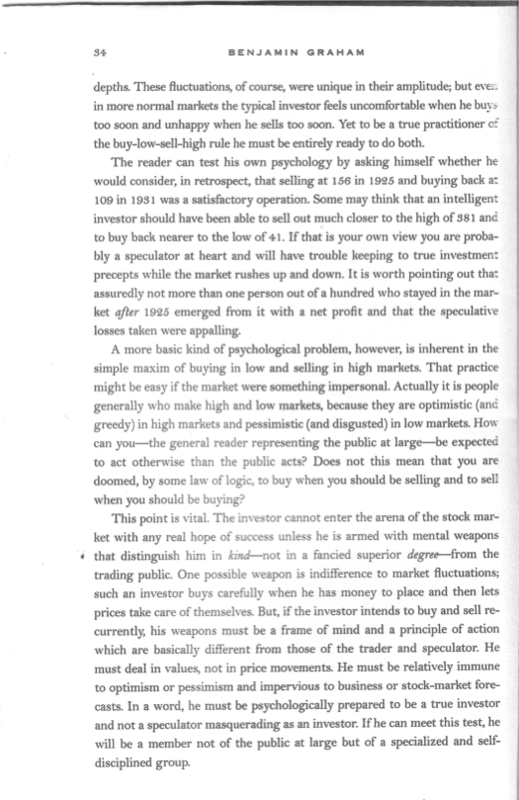 Great Pages: Ben Graham's "Mental Weapons"
Can a single page of a book change your investment life? We believe it can. Periodically, we highlight some of the Great Pages that have had a great impact on our investment philosophy. Today, we look at p. 34 from Benjamin Graham’s “The Intelligent Investor” (2005 edition), in which Graham talks about the mindset needed to distinguish oneself from the crowd in investing. Validea’s Benjamin Graham-inspired portfolio is up 359.3% since its mid-2003 inception vs. 100.1% for the S&P 500. Check out its holdings here.